Fall is absolutely my favorite. Last week, I showed you how I decorated the inside of my home for fall. Now, I’m going to show you my porches! 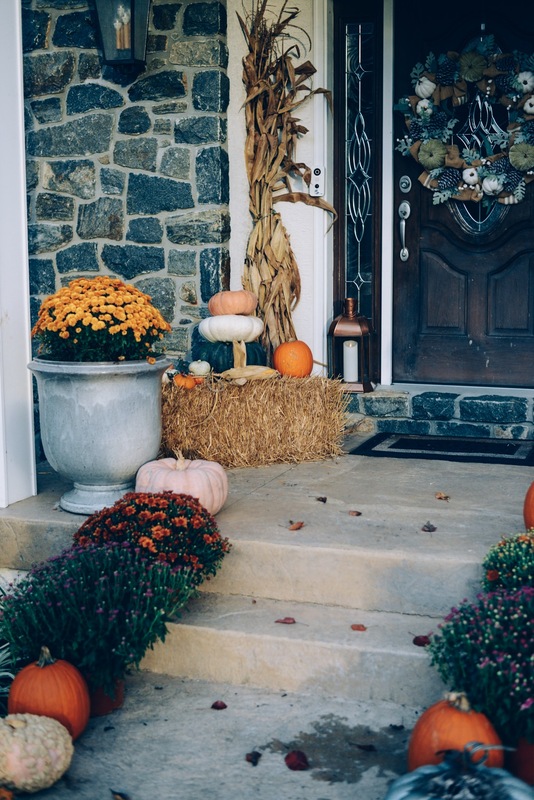 Pinterest is overflowing with tons of über-inspiring fall front porch decorating ideas. 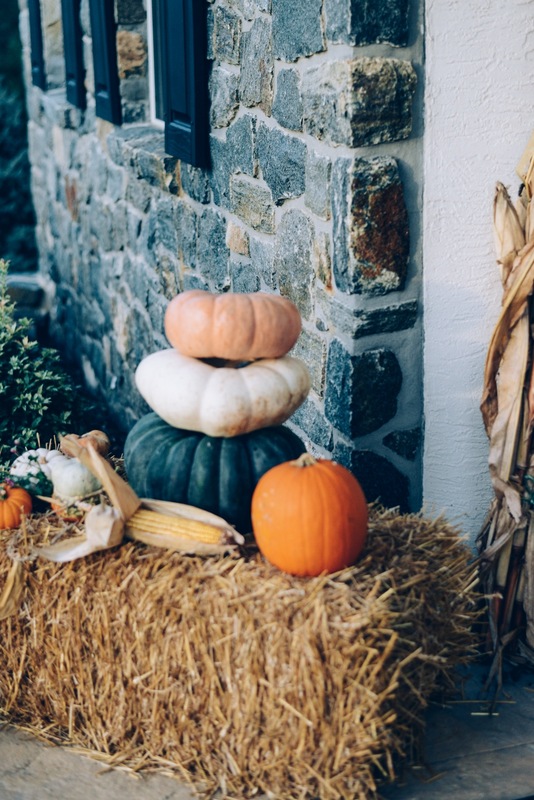 After browsing and pinning, I concluded that more is more when it comes to decorating for fall. 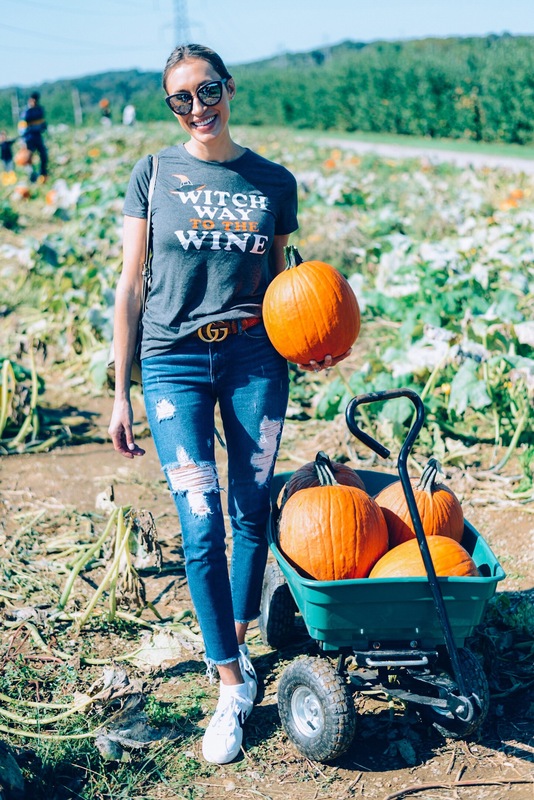 Below, I’ll tell you why I had to make several runs to my local décor spots to gather more and more fall items! 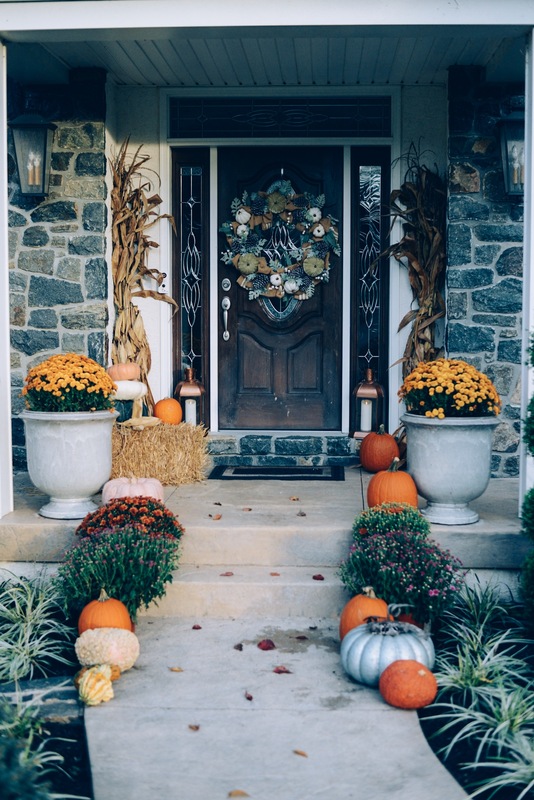 My fall décor is appropriate for any front porch! I chose items that universally flatter any steps and cozy-up any outdoor space! 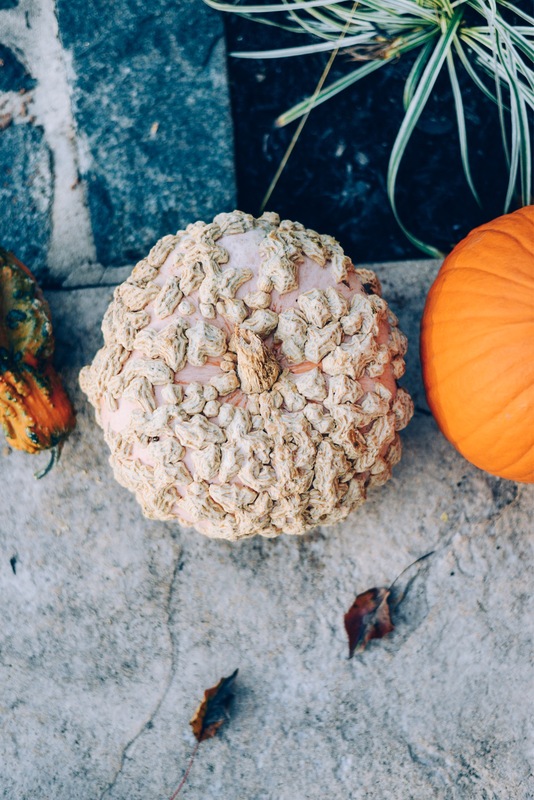 When it comes to pumpkins, the more you have, and the more kinds you have, the better. We started off at a local pumpkin patch with our girls. Of course our four year olds piled orange pumpkins into the wagon. It’s only natural! 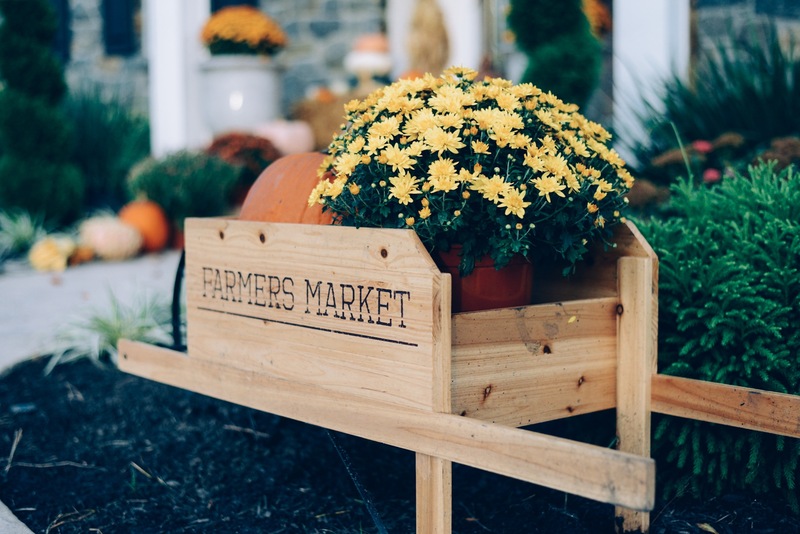 But the farm also had an amazing market and shop, where I picked up some different-colored stacking pumpkins and my prized pink pumpkin! Even though purchasing all of these pumpkins seemed like it would be enough, it totally wasn’t! After setting out all the pumpkins on my porch, I immediately knew I wanted more. And not orange ones. I was literally on the hunt for a really ugly pumpkin and some gourds. I also wanted to add more texture with a metal pumpkin. 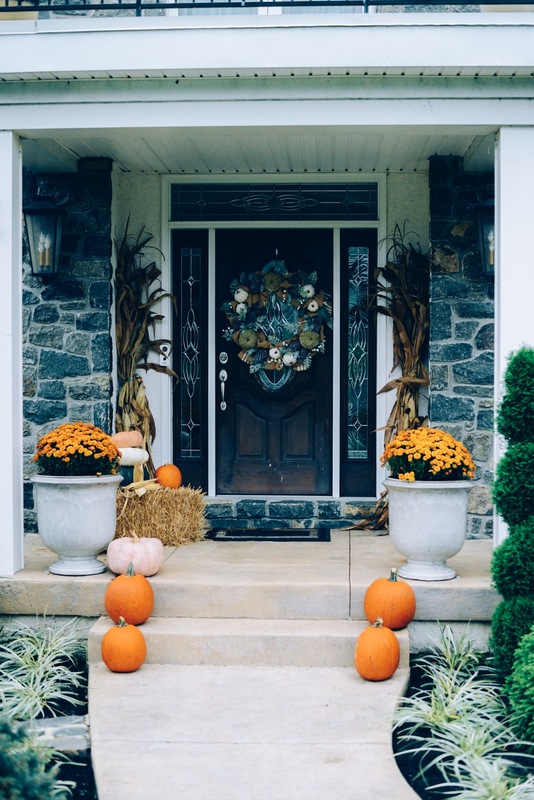 All of the sizes and textures of pumpkins really adds character to a fall front porch! 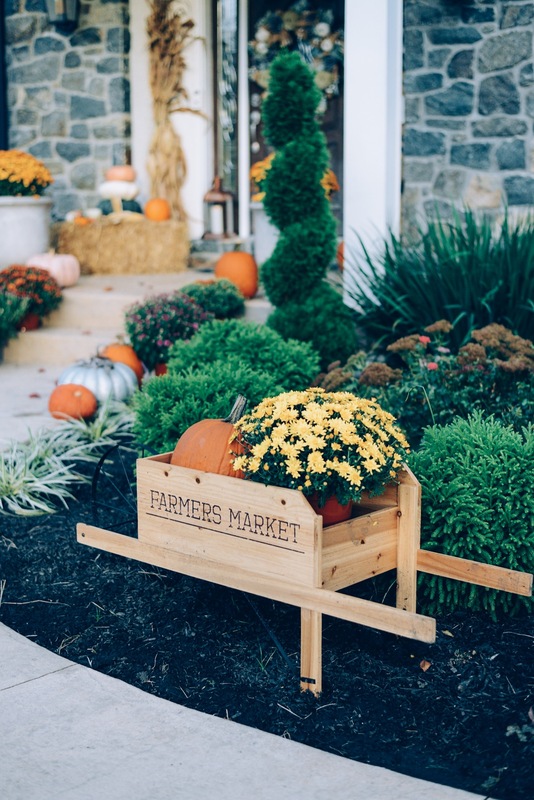 Besides local farms and shops, here are my favorite fall décor shops! If you click on the links, they will bring you right to all the fall goodies! Mums Are a Given, but Don't Forget the Hay and Cornstalks! I found it at Homegoods and only paid $40, but I have linked some cute ones in my shop below! 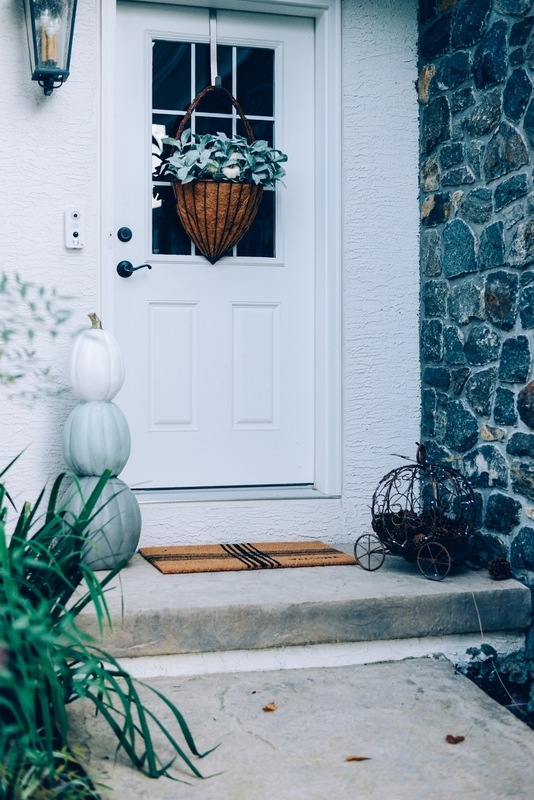 Lastly, the wreath (also from Homegoods) and copper lanterns add a cozy farmhouse feel to the porch. Now, I am just waiting for cooler temps!! Bring on fall! Oh, and I almost forgot! Here is our smaller porch. I may still add to it. Rather than making multiple trips to various stores, just stuff as much décor as possible into your vehicle when you find a shop you really like. 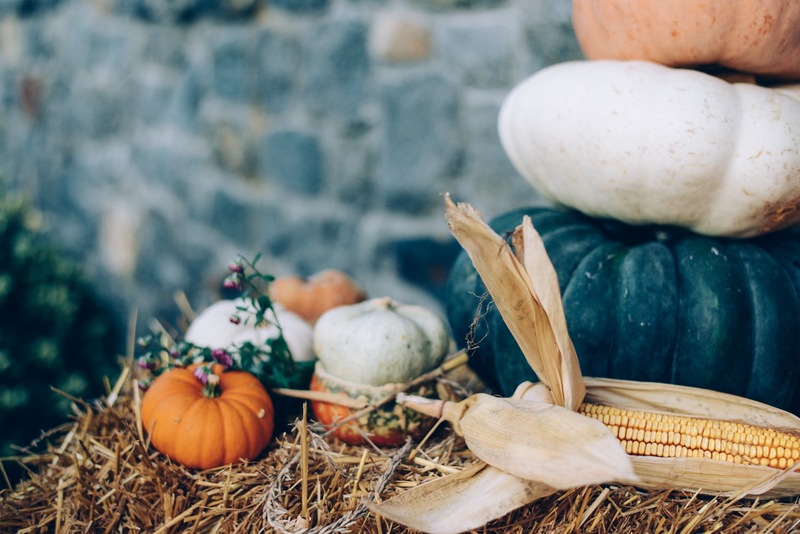 If the place has gourds, flat pumpkins, colorful pumpkins, haystacks, cornstalks, mums… JUST LOAD UP! And grab some extra mums while you’re there! RELATED Friday Faves Vol. 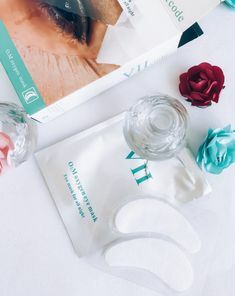 3- Home Gifts 20% Off! I think I ended up make three entirely different trips to pick up more items. And while I do love my shopping, who has time for all that running around?! Here is what the porch looked like after the first shopping trip. Don’t you see a big difference?! You can also find me on Instagram or chat with me on Facebook! A Cozy Fall Outfit for Under $100! Its nice to know im not the only pumpkin obsessed porch around lol, I purchased so many pumpkins the farmer had to help me take them to the car. Hahaha girl I love that!!! You did it right! This is officially the most beautfil fall decor I saw this year!! I love how much care you put into it! Oooh I really appreciate the compliment!! Happy fall! Don’t worry, girl! 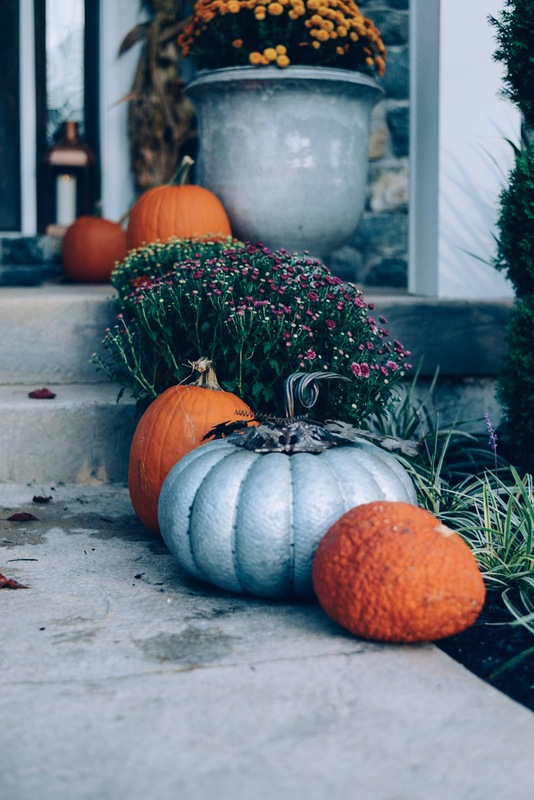 Even if you miss Halloween, you can keep fall decor up until Thanksgiving! Oh no way! It’s funny that you say that because one of our pumpkins has teeth marks! I think they are from a deer, though! Thanks for stopping by! 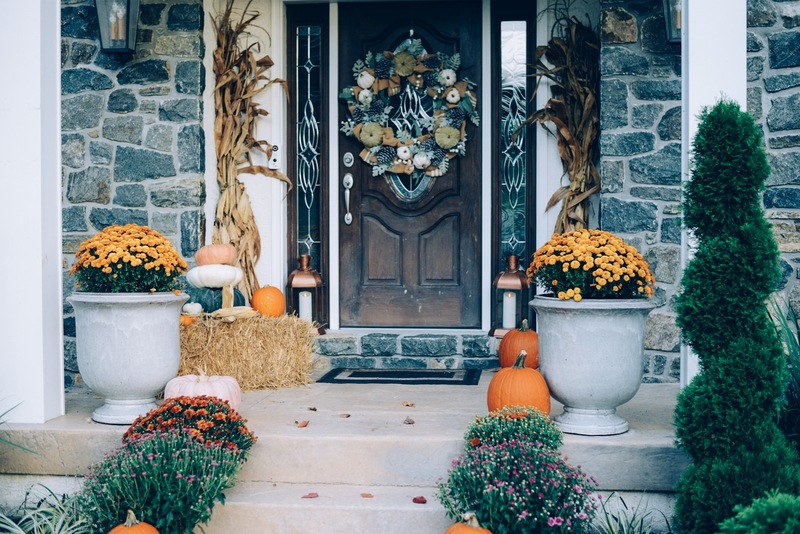 You can never have too many pumpkins or mums on your porch this time of year! Looks great! Oh I agree. I kind of want even more haha. Thank you!